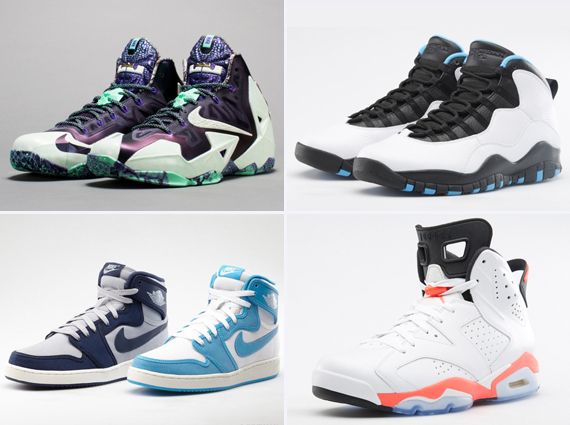 Restock season continues with some news straight out of Foot Locker’s European wing. They’ve just unleashed a pretty good amount of sneakers, among them a handful of recent Air Jordans, a couple of the 2014 Nike Basketball All-Star sneakers, and more. Of course these sort of sneakers are slower to sell out over in Europe – as evidenced by the fact that they’ve still got sizes sitting around. Get a glimpse of the goods below and then check out Foot Locker for the rest (Remember that you’ll need a friend across the pond to help you out if you’re actually trying to pick up a pair).